There have been low-scoring thrillers, last-over finishes, young Indian pacers bowling fast and grabbing attention, old warhorses turning the clock back, mid-tournament captaincy and home change. At least three teams are firm favorites to make it to the playoffs and a couple of teams may see their playoffs chances being all but over in the next two games. 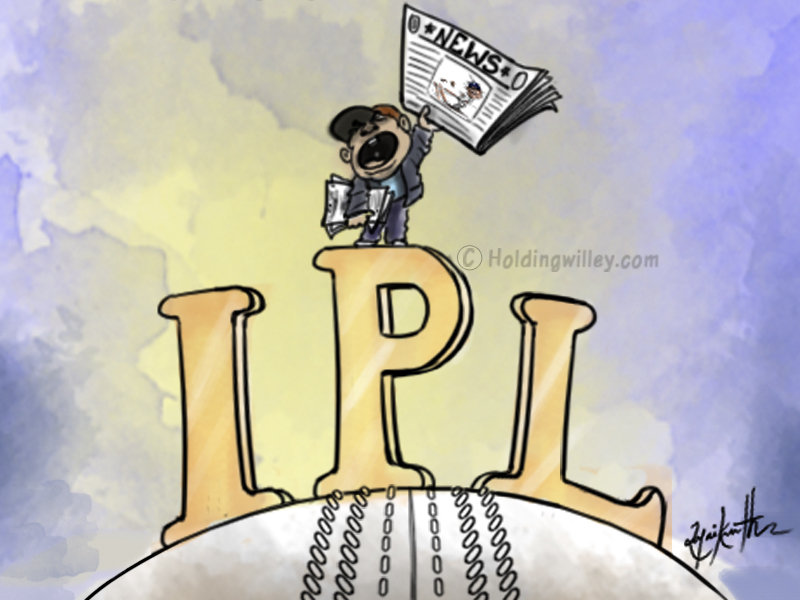 The Indian Premier League (IPL) 2018 has not lacked in entertainment. 30 games are over and 30 more are around the corner. Here’s the mid-season review of how the teams have fared in IPL 2018. Mumbai Indians, Kings XI Punjab, Rajasthan Royals. 118, 132, 151. These are poor, below par, modest totals in Twenty20 cricket. They are chased down with utmost ease. But not when Sunrisers Hyderabad are defending them, and certainly not in this season of IPL. The Kane Williamson-led unit has mastered the art of defending these low scores, and that too without the leaders of the pace attack, Bhuvneshwar Kumar and Billy Stanlake. The Indian arsenal of pacers has stood up and delivered for SRH; even the ones who replaced Bhuvi and Stanlake in the team. If Siddarth Kaul, the Purple Cap holder with 11 wickets in 8 games, does not get you, Sandeep Sharma (6 wickets in 4 games) will. If Sandeep Sharma does not, Basil Thampi (5 wickets in 3 games) will. And if none of the pacers do the damage, then Rashid Khan (10 wickets in 8 games) and Shakib Al Hasan (8 wickets in 8 games) most definitely will. 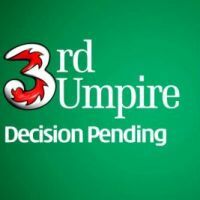 If SRH have mastered the art of defending low scores, CSK have made winning in the last-over chases a common practice. While there was a lot of buzz about them making a comeback following a two-year suspension due to IPL spot-fixing, there were also the taunts of “old team” as they had many 30 plus cricketers in the squad. But MS Dhoni and his men have shown what the experience can bring to the table. CSK have been involved in four last-over chases in their first 8 games and they have come out on top thrice in those four encounters, topping the points table with six wins and 12 points to their name. MS Dhoni (286 runs in 8 games) and Shane Watson (281 runs in 8 games) have held their own, but it is Ambati Rayudu who has repaid the team management’s faith in him with 370 runs in 8 matches and is the deserved beholder of the Orange Cap at the halfway mark. Although KXIP became a talking point as they went bonkers during the player auction, the north meets south combination of Virender Sehwag as Director of Cricket Operations and R Ashwin as skipper, with the Australian Brad Hodge leading the coaching staff, has done wonders for KXIP. They now are in with a very real chance of making it to the playoffs. Before the season kicked off, Ashwin had stated that he would be unpredictable as a captain and he has stuck to his word. The former CSK star did not pick the self-confessed Universe Boss and Bradman of T20 cricket, Chris Gayle, in the first two games and the strategy seemed to have worked. Gayle, who seemed like a time bomb waiting to explode, has unleashed himself on the opposition. The Jamaican, in his four appearances, is now the second highest run-getter for KXIP with 252 runs, including an unbeaten hundred against SRH. While Ashwin the bowler is yet to enjoy success, Ashwin the skipper has not been afraid to make some bold calls, including the decisions to bench Yuvraj Singh (vs Sunrisers Hyderabad) and trusting Mujeeb Ur Rahman to bowl the final over in a low-scoring thriller against Delhi Daredevils. KXIP had not enjoyed much success in the last three seasons, finishing at numbers 5 (2017), 8 (2016) and 8 (2015) in the table. However, if they manage to maintain their form, a place in the playoffs is theirs this season. They will retain the best batsmen (Virat Kohli and AB de Villiers) in the world. They will buy some handy batsmen (Quinton de Kock and Brendon McCullum) and bowlers (Yuzvendra Chahal and Umesh Yadav). And then they will still find a way to lose matches and languish in the bottom half of the table. Year after year, season after season, the names of the players retained and bought by RCB have changed, but the team’s fortune has not. RCB have won three games from the eight they have played this season and are on the brink of losing out on a chance to reach the playoffs. While Kohli and ABD have scored 317 and 280 runs respectively, the other RCB batsmen have failed to play a solid supporting role to the Indo-South African duo. The on and off bowling performances, fielding lapses and occasional wrong choices in crunch moments, allowing the opposition to steal the advantage, have not helped RCB’s cause. They did not retain Gautam Gambhir, their two-time IPL winning skipper but KKR, under Dinesh Karthik, have managed to keep their hopes of making it to the playoffs alive; thanks to their batting performances. While none from the likes of Chris Lynn, Andre Russell, Dinesh Kathik, Nitish Rana and Robin Uthappa have set the IPL 2018 on fire, each one of them played at least one match-defining knock and all of them enjoy a 130-plus strike rate. However, KKR’s bowling have been an area of concern for the team management. The pacers have failed to contain runs and the spinners have not been as effective as DK would have liked. KKR are still afloat in the competition, with 4 wins in 8 games, though the overdependence on batting and patchy bowling can put their ambitions of winning a 3rd IPL title in jeopardy. CSK hogged all the limelight as they and RR made an IPL comeback, but the Jaipur-based IPL franchise drastically changed their auction game and bought two of the highest paid cricketers – Ben Stokes and Jaydev Unadkat. Although it was rather uncharacteristic of RR, who have been always considered the ‘Moneyball’ team of the IPL, to splurge at the auction, the approach has not helped them buy many wins in the tournament so far. Losing Steve Smith due to ball-tampering ban was a big blow, the batting failure of Stokes, Jos Buttler and the young Australian D’Arcy Short, along with the inconsistent bowling, has put an onus on Ajinkya Rahane (225 runs in 7 games) and Sanju Samson (279 runs from 7 games). Although Jofra Archer has done well in his two outings for RR, scalping six wickets, and Krishnappa Gowtham and Shreyas Gopal have each put in at least one noteworthy performance, it seems RR have got their planning wrong. A string of defeats, then a string of wins from the brink of elimination to win the IPL title. Mumbai Indians have done this before multiple times and if you are an ardent fan of the Mukesh Ambani-owned, Rohit Sharma-led franchise, you will hope that two wins from eight matches will lead to a dream finish. But cricket is a funny game and MI may not succeed with their set formula to win IPL trophies. Suryakumar Yadav (274 runs from 7 games) has been a consistent performer with the bat for MI, but the other batsmen have struggled. Although Rohit Sharma has scored fifties in each of MI’s wins, it signals that MI is heavily dependent on him, and that the other batsmen can’t help MI win matches on their own. The Pandya brothers have failed with the bat following their opening game against CSK. While their bowlers have not done too badly, a wobbly middle order, and Rohit not opening the batting to set the pace, have not helped MI’s run in IPL 2018 so far. It seems DD have the plans and players in place moving forward, but it will take them a season or more to reach the playoffs. While Gautam Gambhir’s bold yet necessary call to step down from the captaincy and Shreyas Iyer’s subsequent promotion as a leader have helped DD to start zeroing in on the team combination for future, 6 losses from 8 games have all but ended their hopes of winning their maiden IPL title this year. Rishabh Pant (306 runs from 8 games), Iyer (257 runs from 8 games) and Trent Boult (11 wickets from 8 games) have been DD’s standout performers. Glenn Maxwell’s failure to contribute and below-par showings from the bowlers have caused DD much heartache. A finish in the bottom half – like in the last five seasons: sixth (2017 and 2016), seventh (2015), eighth (2014) and tenth (2013) – looms for DD, unless they dramatically change their fortunes in the remaining games.